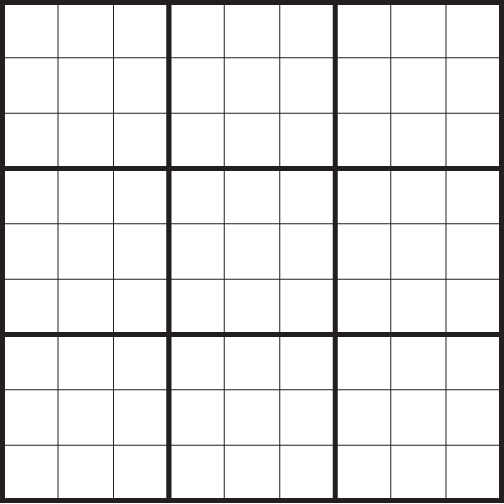 Looking for blank sudoku grids like the one above to help you solve puzzles better? Below you'll find a host of different permutations that you can readily print, download, or draw over for free. If there's something else that you're looking for, just shoot us a message!